“I looked at the vague but reassuring forms of the doctors around me. Abruptly my vision cleared. The sudden horror of what I saw rocked me as I realized I was definitely not in a hospital. The Travis Walton UFO incident was an abduction of an American forestry worker ... See More by a UFO on November 5, 1975, while working in the Apache-Sitgreaves National Forest near Snowflake, Arizona. Walton reappeared after a five-day search. The Walton case received mainstream publicity and remains one of the best-known alien abduction stories. The man, the myth, the mysterious world traveler… as seen on TV….Maybe you caught the Travel Channel’s; Expedition Unknown episode of “Hunt For The Yeti” with Josh Gates and Adam Davies, if so, you’re certainly going to want to check it out. Since his move into California, Adam has hit the ground running with his research and has some very interesting findings conducted in the fall of 2016. Straight from the other side of the pond, Adam is a world renowned cryptozoologist. He has seemingly been seen on every channel and every show possible on anything unexplained. His experiences range from lake monsters like the Loch Ness monster, all the way to Bigfoot. Adam will be available for visiting, autographs, selfies and questions from guests who want an in depth look into some real research and methods. 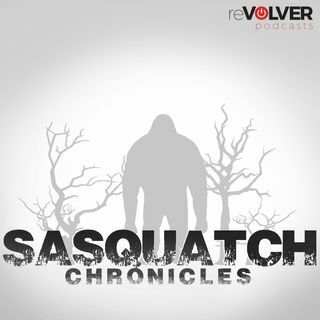 As most of you are aware, we moved the show from BlogTalkRadio to reVolver Podcasts a couple months ago. Even in that short amount of time, we’re already seeing that it was the right decision. They are committed and active in helping the show grow and reach a larger audience, something we felt was lacking from our previous arrangement. One of the ways they seek to do this, is through advertisement and cross-promotion. The folks at reVolver hand-pick ad partners that will pair well with their shows, and the revenue gained from this type of endorsement will provide the financial backing to develop some exciting new content to bring to you as fans. For the last 5 years, we’ve been fortunate enough to not feel the need to partner with advertisers in order to keep the show running as is. However, I’ve been working on a few more “ambitious” ideas over the years, and this opportunity will hopefully provide the additional funds necessary to bring those ideas to life. The Member Only episodes will continue to be ad-free. We hope that you all will support us in this decision as we are anxious to bring the show to the “next level,” and this is one of the tools needed to get it there. That being said, our first ad partner is MyBookie. Please check out MyBookie at this personalized link: http://bit.ly/SasquatchMBJoin now and MyBookie will match your deposit dollar for dollar.Use promocode "CHRONICLES" to activate the offer.Visit MyBookie online today, and don’t forget to use the promo code "CHRONICLES" when creating your account to claim the bonus.